I have a very traditional and basic attitude to weight training – you won’t see gimmicky exercises or “Wolverine Workouts” here. If you have experience of weight training you have probably heard of most of my list. I take the view to be the master of these 10 weight exercises, rather than do a new routine every week. The bench press is the cliche show of strength, but it should not be dismissed as it’s one of the staple must do weight lifting exercises for a reason! Doing this routine helps build up your chest and adds the size to your upper body. It also is a great way of creating explosive power. And yes I suppose there are numerous bragging reasons like looking good in tight shirts and being able to say how much you can bench. 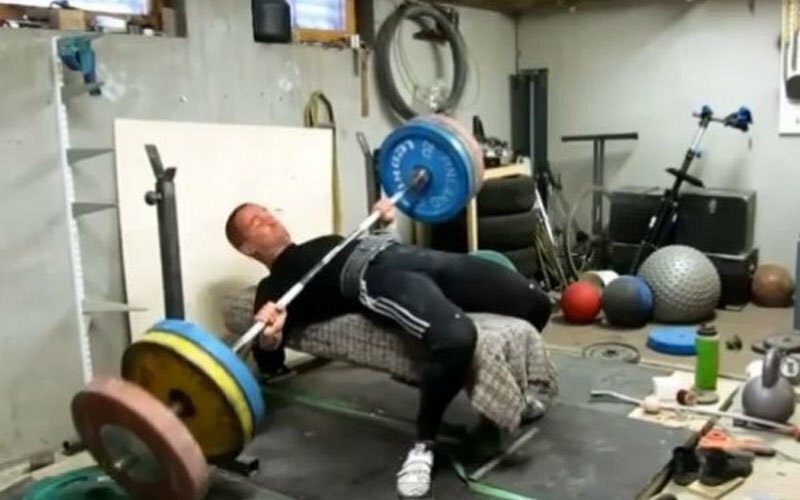 Then there is the incline and decline bench presses which have the benefits of targeting areas of your shoulders and chest laying flat does not. Again be careful with how much weight you put on the bar and avoid having the bar drift. Including the inclined decline variations is recommended to improve your chest shape and overall strength. The bench press will make you look really good in your upper body promoting a healthy looking frame if you can keep the belly fat off from your torso. Your next challenge will be to stop looking at yourself in the mirror so much poseur! It’s also another one of those that helps you in obstacle races and body weight exercises developing the muscle strength to pull yourself up on bars. With other exercises the focus is moving back from the movement to promote muscle growth. This can be done with bench press but only do this light, otherwise focus on explosive movements. To increase your lift do 50% of your 1 rep max at 3 set of 8 reps making sure to go as explosive as possible. I’d put my ‘favourite’ exercises in 2 categories. 1. the ones I like and 2. the ones I know work for me. I love to squat, bench and deadlift however, I’ve gotten a lot of mileage and carry over out of things like clean and press, power cleans, good mornings, 1 arm rows and lateral raises. That is good advice. I have my favourites but have the ones I get a lot of benefit from. I hate dips but force myself to do them every week for the triceps development. Master them and you might just grow to love them. I already cover your previous on but i really love This week is Number 4:Bench Press workout.